You may have already seen this story featured in The PIE News. If so, we invite you to further explore our Stealth applicant insights within our resources section. If you missed us in the news, please continue reading here! At our annual Partner Group Meeting in February, we presented the latest insights from our International Stealth Applicant Survey which investigates the ROI of marketing channels commonly used in student recruitment. 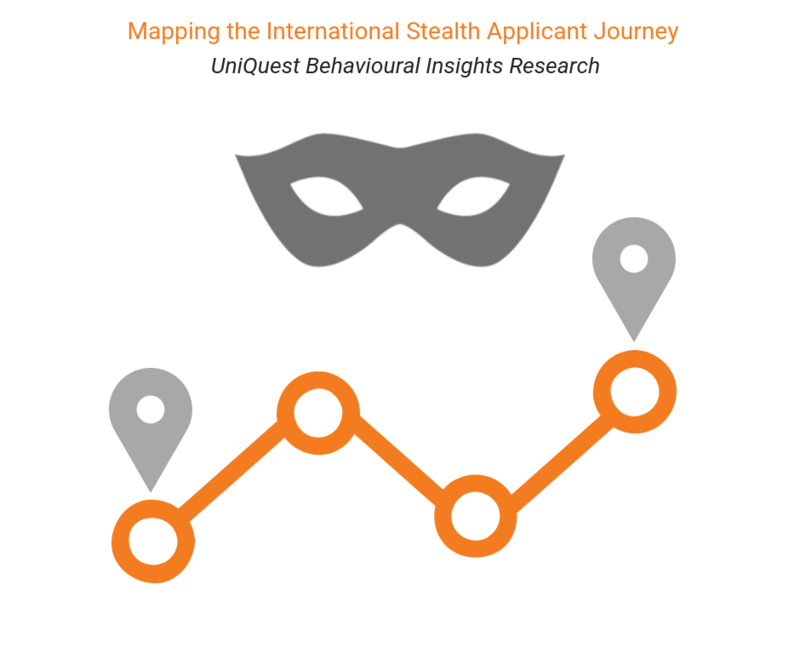 Since January 2018, we’ve been surveying our university partners’ international offer holders to trace the hidden journeys of Stealth applicants, those students who don’t make any contact with a university pre-application. In our five-year history, we’ve managed over 755,000 student journeys from enquiry to enrolment. In recent years, we’ve seen international Stealth applications increase to the point where international Stealth applicants now make up the vast majority of universities’ offer holders. In 2018, 91% of the international offer holders that UniQuest engaged on behalf of its partners were Stealth applicants. Through the study, we uncovered the channels that Stealth applicants, who ultimately went on to enrol for the September 2018 intake, used to research a university before submitting an application. One of the more surprising discoveries from the survey was the dominance of the university website as the primary, and often only, channel that students used to research the university before putting in an application. We analysed all of the channel mixes across the enrolled students who took part in the survey. 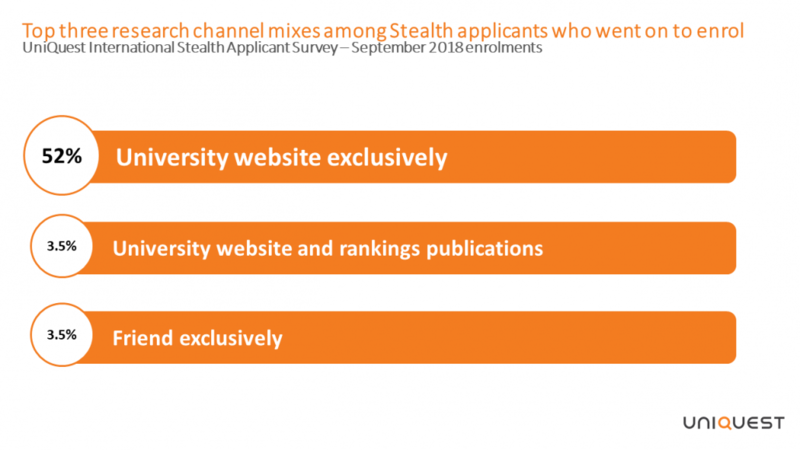 We found that more than 50% of international Stealth applicants who enrolled indicated that they used the university website exclusively before applying. The next most common mixes of information sources were the ‘university website’ coupled with ‘rankings publications’, which roughly 3.5% of enrolled respondents used, and friend exclusively, also used by only 3.5% of enrolled respondents. ‘Social media’ was part of the channel mix in the journey to application for only a handful of students who went on to enrol. Understanding the critical role that the university website plays in international students’ application decisions, we’re sharing Stealth student trends specific to our partners’ audiences to give our partners the unique insights needed to maximise the impact of the information on their websites at every stage of the recruitment journey. 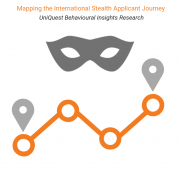 UniQuest’s International Stealth Applicant Survey is an ongoing research study that launched in January 2018. UniQuest delivers the initial survey online to its university partners’ international offer holders and students opt in to join panels for further research. As of the September intake, more than 1,500 international offer holders had taken part in the survey.